Jade froze, her paintbrush hanging mid-air above her palette. An eerie, surreal frame was cast as light streamed diagonally through the bay window. She scanned the entire painting. The buildings cast long, ominous shadows, stalking the pedestrians as they made their way to and fro, huddled against the misery of the evening. A man lay sprawled, his lifeblood staining the sidewalk crimson. Half in a deserted alley, he was yet to be discovered. This was the detail Jade concentrated on. She blended a burnt red and used careful brush strokes to complete the scene as the portrait fell prey to the darkness that burned inside her. Without meaning to, her gaze was once again drawn to the slain man. She reached up and touched the blood seeping from his body, coming away wet. Bringing her hand to her nose she closed her eyes and inhaled. Instead of the cloying scent of her oils, she inhaled the coppery smell of blood. Stunned, her mouth parted on a silent scream. No! Darkness bubbled to the surface, invading her senses with a roar. Unable to fight the invasion, her heart beat an increasing crescendo. Part of her didn’t want to struggle, not with the temptation of death on her hand. Deep inside, a macabre shadow stretched. Hungry for more, its long arms clawed for purchase with each breath. Changing her, as part of her argued for the better. The other part—the one that gloried in her fire-kissed hair and shimmering eyes—cried against this crime and screamed for redemption. She crouched to welcome the demonic strength as the parasitic monster grew inside her. Evolving into a fierce predator, she was able to taste, weigh, and measure the souls who sifted through her fingers. Still, she fought for space in her own body. For control. But with the scent of blood, of death, of prey—she was losing fast. It’s happening. Unshed tears burned her eyes. Finally. The curse of the three Fates had begun. With her. Slowly Jade stood and bit down on her lip and welcomed the pain. The distraction would help fight the transformation. Dipping the brush into the Caribbean blue, she swirled then began to paint a shimmering cove. The vision soothed the beast that lurked just beneath, but it was temporary, and Jade knew its evil would soon rebel. The Fates’ curse would change her over time, unleashing an unstoppable power within her, annihilating the gods who created her and anyone who got in her path. Dropping the blue-tipped brush, Jade’s back snapped straight and her mouth opened on silent scream. Succumbing to a surge of menace, she lost control. Every cell stretched to accommodate the new presence. Shivering from the effects of her altered state, she briefly shut her eyes, adjusting. When she opened them, her painting was before her, and she viewed the scene anew. Cocking her head, she closely observed a woman who tightly clutched her rain slicker about her body. This one will not make it home tonight. Right from the very beginning I felt the excitement build up! Jade is overwhelmed by the power that starts coursing through her while painting! This has happened before, and it didn't turn out in a nice way! But, her powers don't stop there. She senses the ill intentions of a demon that has approached the King, her step-father demon, and attacks him, even if he is of her own species. But, what species is that? Jade is half demon and half goddess, and part of a set of quintuplets that were cursed by the Fates. A prophecy was cast upon them, that they are destined to kill the Gods. This curse set Zeus off into hunting them, through Oneiroi, who can track people through their dreams, and step into different realms. At the same time, Jade, after hundreds of years of being hunted, forced to loneliness and futile search of her mate, or any kind of romantic relationship for that matter, has started giving up her hopes! Until she stumbles upon a group of five Worr demons, who are fierce enough to be the only ones able to defeat Oneiroi! One of them is also destined to be her mate! But, nothing proves to be easy for them. One mistake brings her closer to Nightmare, the worst of the Oneiroi. Will Roen, her Worr mate, be able to save her now that he knows who she is, or is Jade's fate already sealed? This book contained so much action and so many events took place, that I couldn't manage to get my attention off of the story! The pages flew by so easily! I loved the majority of the characters, even the bad ones, with all their personalities' elements! Jade was a fierce heroine I gladly identified with, and Roen was oh-so-strong-and-handsome and focused on his quest to release Jade! Another aspect of this story I loved, was the fact that it referred to the Greek mythology, and very accurately, I might also add! Being Greek myself, I grew up with stories of the Olympian Gods and their adventures, so I found myself instantly drawn to both the plot and the characters! And, I loved every minute of it! to intensity, passion and so much action! 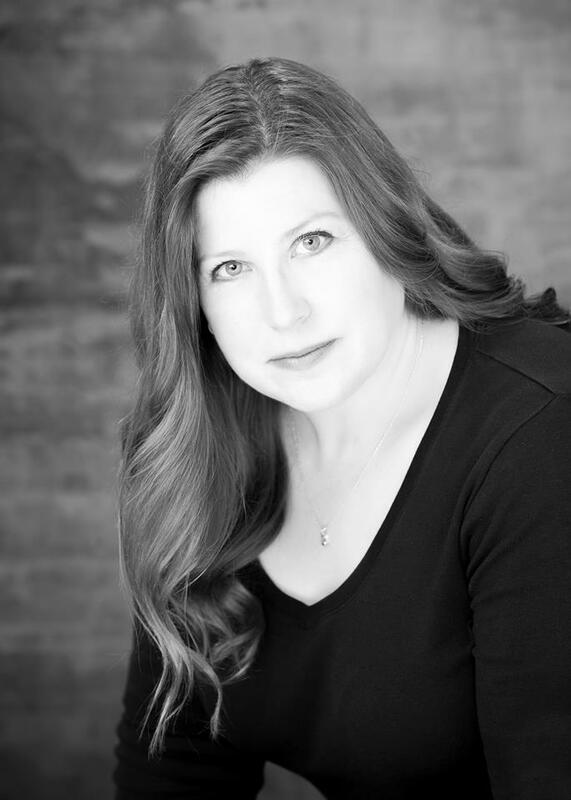 Amy McKinley is a freelance writer and author. She lives in Illinois with her husband, their four talented teenagers, and three mischievous cats. 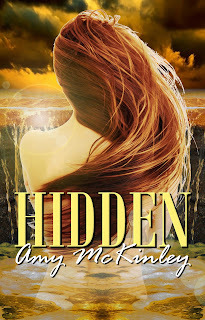 Her debut novel, Hidden is the first in the Five Fates Series. Thank you, Cat Neko! What an amazing review, I'm thrilled. :) I'm happy to answer any questions and good luck in the drawing! Loved the excerpt and thanks for the chance to win.